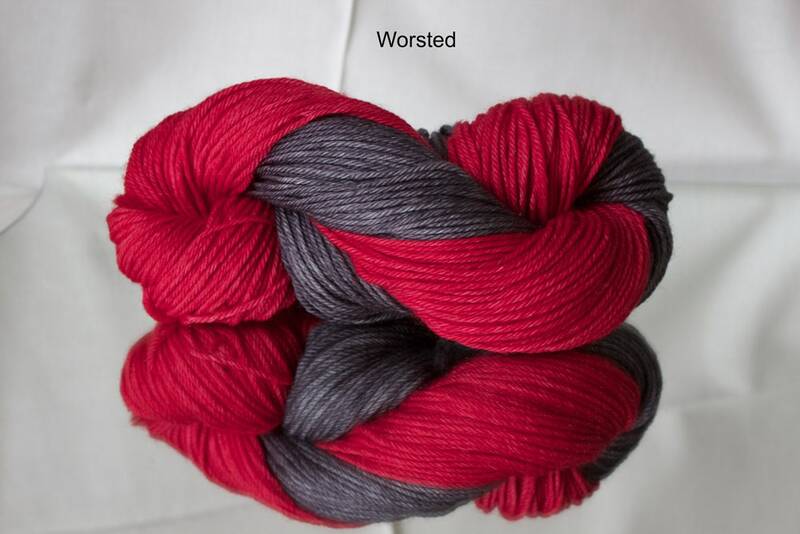 My Cherry Bomb colorway is a dip-dyed combination of cherry red and gray dyes. Each skein is uniquely different and knits up wonderfully. Each skein is labeled with fiber content, yardage, and care instructions. This yarn will spiral when the project is worked in the round on projects like socks or in my Fenceline Cowl pattern on Ravelry.com (https://www.ravelry.com/patterns/library/fenceline-cowl). ---- 75% superwash merino wool/25% nylon and 100g (3.5oz) and 245 yards (224m). Gauge is 5-6 st/inch. Ordered on Saturday and arrived on Monday. Thank you!